The Phenomenal Actris "Lady Gaga" now aday, is the hot topic for Celebrities all over the world; especially in Asian Region Just Like Philipines and Indonesia. Pro and Contra about public Banned her's concert in Philipines and Indonesia. While he was here to assess the appearance Gaga could be positive. "If Lady Gaga really good here, Indonesian image in the eyes of the world so good," he said. "With the presence of international stars, it can be known to the world of Indonesia because Indonesia is safe," he added. 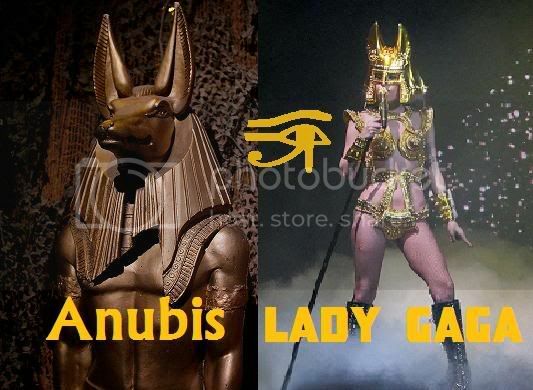 And what is Lady Gaga,s Sin? Referring to the appearance of any matter, indonesian actor Olga assess the eccentric singer also will adjust to the culture of eastern Indonesia. "Kan can be negotiated as its management. I am certain that he will fixed clothes, just like that really bother. He will listen to," said Olga. Lady Gaga considered a satanic cult. The controversial singer ever wear a headdress like a horn. In addition he was also often stylized eye symbol of which is translated as "Eye of Horus" which is a symbol of Dajjal. The use of the horn is a symbol leads to one of the demon Baphomet. Baphomet figure depicted as half man, half goat figure, or a goat's head. Lyrics "Judas" one of Lady Gaga's Song protested because it was considered blasphemous. Snippets of the lyrics of "Jesus is my virtue, And Judas is the demon I cling to, I cling to." Romo Benny could not conclude whether the song is insulting God. He surrendered to the government related to the controversy Lady Gaga is going to a concert in Indonesia on June 3, 2012.